Sometimes, you are nailing routines and other times you feel it is impossible to perform a halfway decent routine. To add to the difficulty of gymnastics is the pressure heaped upon gymnasts from coaches and parents. It is no wonder that many gymnasts battle with wavering confidence and feel overwhelming pressure. West Virginia University senior gymnast, Audrey Tolbert, understands how mentally tough gymnastics can be and the toll it can takes on one’s confidence. Tolbert is a level 10 gymnast and four-time Junior Olympic National Championships qualifier. In 2013, Tolbert entered her first year at Ohio State University. Nagging injuries, home sickness, high expectations, an increased sense of pressure and a higher load of intense conditioning started weighing heavily on Tolbert. Tolbert saw less in the lineups and only competed in four meets as a sophomore. Tolbert saw her confidence plummet and she eventually withdrew from OSU. Tolbert decided to return home and train with her club team where she rediscovered her enthusiasm for gymnastics. Extra repetitions and positive comments from her coach helped boost her confidence. Tolbert decided to return to college gymnastics at West Virginia University with higher confidence and a new perspective towards the sport. Tolbert also realized something needed to change mentally. Ultimately, it is Tolbert’s new mentality that has her achieving personal best scores as a senior and being a valuable contributor for the Mountaineers. What did Tolbert do to manage those high expectation and demands she was experiencing? First of all, Tolbert focused on having fun instead of achieving certain results. Secondly, Tolbert committed to being more positive and not allowing the negatives dominate her thinking. Lastly, Tolbert took back control of her gymnastics instead of allowing negative emotions to dictate her athletic experience. No matter what Tolbert achieves this year, her story is one of success. 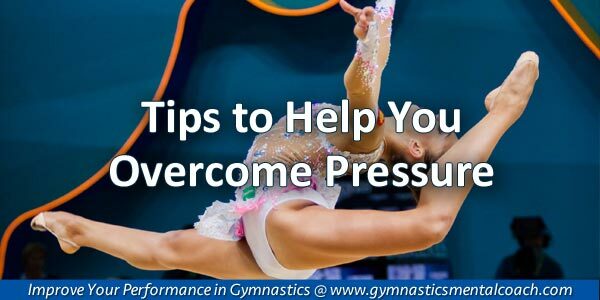 If you are feeling burdened by pressure or experiencing hardships or have lost your zest for gymnastics, you can turn things around. Changing your experience in gymnastics and improving your performance requires that you do something different than you are currently doing. 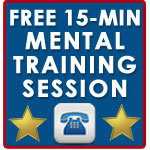 Maybe a change in mindset is exactly the remedy you are looking for! 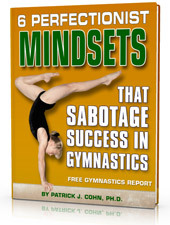 Find your fun – Mentally revisit what made gymnastics so fun when you were younger. What can you do now to bring the fun from the past into the present? If you can accomplish this task on a regular basis, you will regain your enthusiasm and feel much less pressure. Let go of the expectations you feel from parents or coaches to be great all the time. 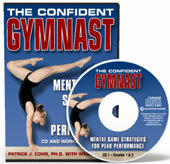 Pick up a copy of “The Confident Gymnast” to make sure your mental game doesn’t hold you back.